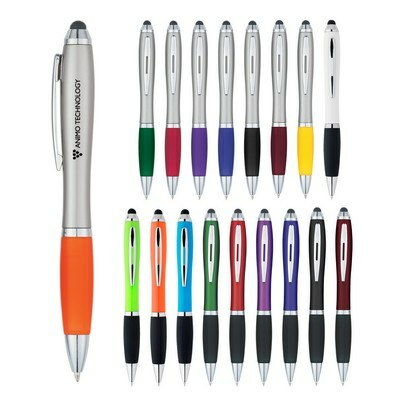 The Satin Stylus Pen is a sleek pen available in attractive colors. It comes in several color combinations: satin silver barrel with blue, purple, green, yellow, burgundy, charcoal, orange, or red rubberized grip or light blue, lime green, orange, white, red, blue, green, purple, black, or burgundy barrel with black rubberized grip. 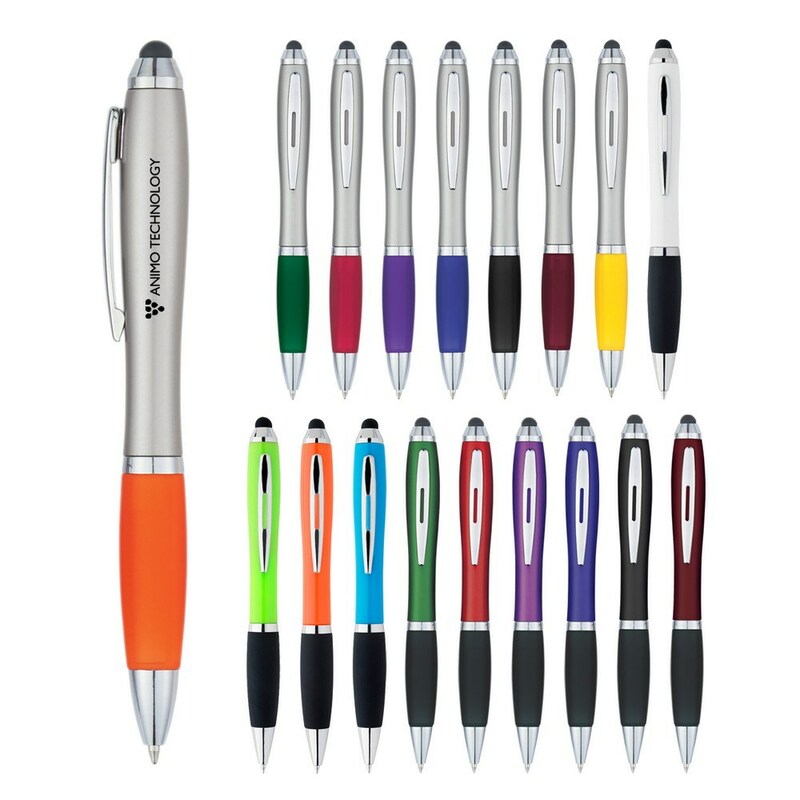 The Satin Stylus Pen is a sleek pen available in attractive colors. It comes in several color combinations: satin silver barrel with blue, purple, green, yellow, burgundy, charcoal, orange, or red rubberized grip or light blue, lime green, orange, white, red, blue, green, purple, black, or burgundy barrel with black rubberized grip. It has a plunger action, with black ink and a medium point. The rubberized grip, makes it easy to write with, and comfortable to hold.